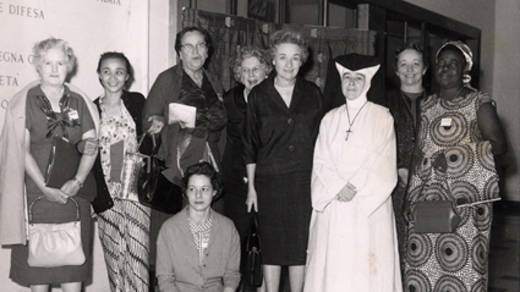 The Catholic women who organised the first Family Fast Day in 1960 with Sister Alicia who ran the mother-and-baby clinic in Dominica. Ever wondered when was CAFOD founded or why Fast Days are an important part of our work? Here we answer your questions about CAFOD's history. Who started CAFOD and how did CAFOD begin? We weren’t doing anything special, we were just doing what we thought we ought to do, remembering that we are all God’s children. CAFOD was born when Jacquie Stuyt and Elspeth Orchard came together with others from the National Board of Catholic Women, the Catholic Women's League and the Union of Catholic Mothers to organise the first Family Fast Day in 1960. Due to the number of collections taking place across the dioceses, two years later, the Bishop’s Conference of England and Wales registered CAFOD as an official charity. Sign up to our newsletter to hear more about CAFOD's history and work. What did the first Fast Day raise money for? Jacquie and Elspeth were responding to an appeal from the people of the Caribbean island of Dominica where children were starving to help raise funds for a mother-and-baby clinic. As well as funding the new clinic, the project also helped people to survive and make a living for themselves, including providing water and teaching people how to plant vegetable gardens. 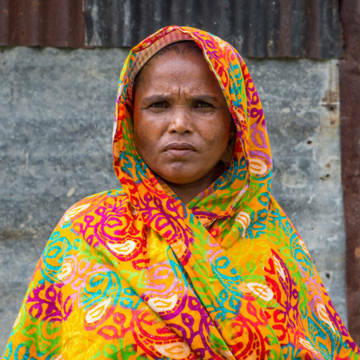 This determination reach those most in need and help people fulfil their potential is still at the heart of CAFOD's mission. What happened on the first Family Fast Day? On Friday 11 March 1960 the group of Catholic women asked everyone in the family to make an act of self-denial. They asked children to give up their sweets and for their parents to make just one main meal for the family – the cheapest possible – and give the money they saved to feed people who were hungry. This remains at the heart of CAFOD Family Fast Days today. The organisers expected to raise just a few hundred pounds, but the Catholic community responded to the appeal with amazing generosity, donating more than £6,000 - the equivalent of £96,000 today. Was the first Fast Day just about giving money? CAFOD Family Fast Day has always been as much about prayer as about giving to help those living in poverty. Elspeth Orchard, one of the first Fast Day organisers explained: “We were very keen that we should do it not just as a giving thing, but as a praying thing. We should really make an effort to remember people, not just by giving them food, but by doing what we could do to support them. Follow in the footsteps of our founders and get involved with CAFOD. Sign up for our e-newsletter or follow us on social media. Use our Learning Hub to find help for your RE homework and research.